Returning for its second race partnership, under the technical alliance of MaxSea and Nobeltec, TIMEZERO by MaxSea, has been named as the Official Navigation Software Supplier for the Clipper 2017-18 Round the World Yacht Race. 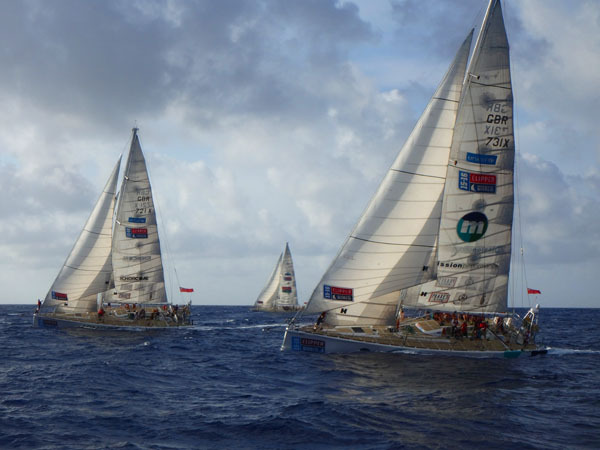 The race’s twelve Clipper 70 yachts, the largest matched racing fleet, will once again be equipped with the latest in marine navigation software to help complete their eleventh month circumnavigation. For the twelve Clipper Race teams, the world’s largest matched racing fleet, TIMEZERO’s pioneering marine navigation software can deliver extremely accurate weather routing, which if utilised efficiently by teams could prove to be the difference between first and last place in the standings. The first marine navigation software to provide weather routing data for off-shore racing, TIMEZERO will be used by the professional race Skippers and many of the Clipper Race crew, who receive on board training, to assist them in finding the fastest routes during the race. In the middle of an ocean where teams can go days without seeing the rest of the fleet, crew and Skippers can also utilise the software to monitor the progress and distance covered by their competition. Theodore Scott, from the MaxSea Marketing Team said, “TIMEZERO by MaxSea is thrilled to once again be selected as the Official Navigation Software Supplier for the Clipper 2017-18 Race. TIMEZERO technology integrates an unparalleled chart engine where marine charts, 3D data and satellite photos are wisely mixed through PhotoFusion. Approximately 700 crew will compete in the 40,000 nautical mile Clipper 2017-18 Race which will start from the historical Albert Dock in Liverpool on Sunday 20 August, before returning almost a year later after racing via South America (port TBC), Cape Town, Western Australia (port TBC), Sydney, Hobart, East Coast Australia (port TBC) Sanya and Qingdao – China, Seattle – USA, Panama, New York, and Derry Londonderry – Northern Ireland.